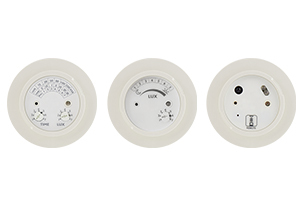 IR‑TEC daylight sensors are designed to control the amount of electric light in a day lit area by measuring either the level of daylight contribution or the overall combined natural and electric light as the key component to achieve an optimal lighting level. ​IR‑TEC offers not only the typical on/off switching type daylight sensors, but also the innovative SmartDIM control daylight sensors with 0‑10V control. TRANS‑LUX TRANS‑LUX daylight sensor is developed from the concept of "Interchangeable EMO", an industry leading modular design that delivers total interchangeability.